Convert currencies on your trips. 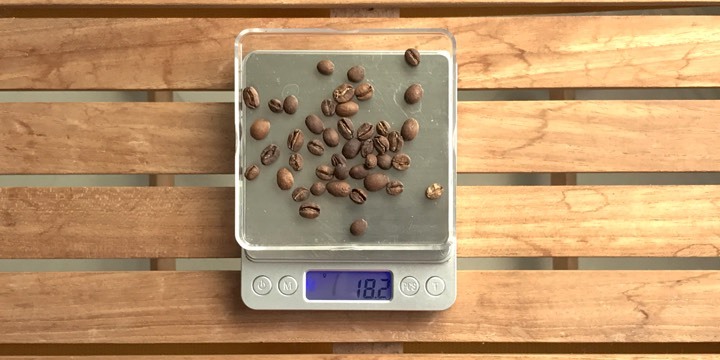 Find out how much things cost while traveling, really fast. With your Apple Watch or your iPhone. 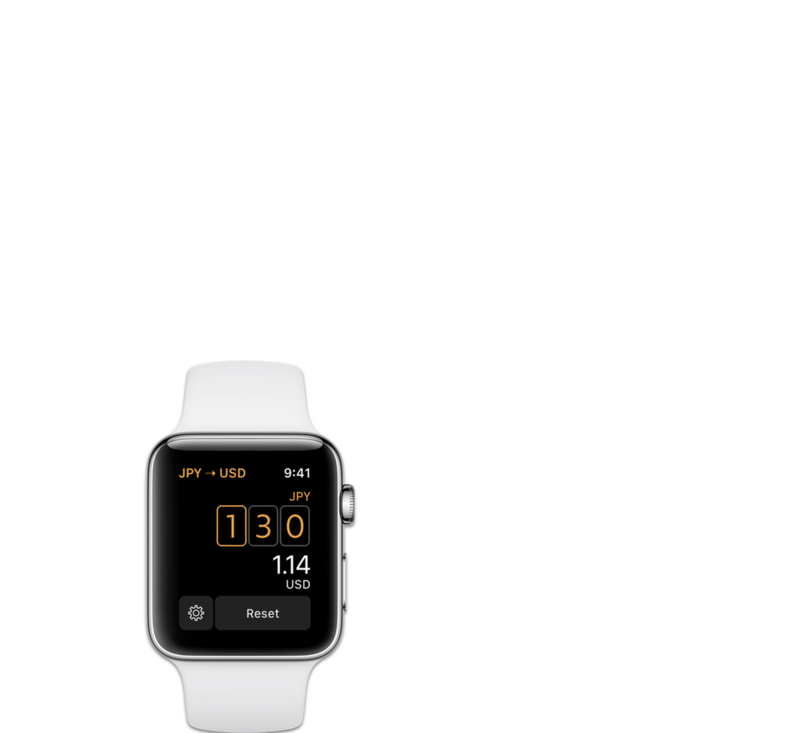 Elk is optimized for watchOS 3. It launches instantly, and is ready to convert whenever you raise your wrist. Tap to select a digit. Rotate the Digital Crown to change its value. Swipe left or right to increase or decrease the value by ten times. … and made for the iPhone, too. 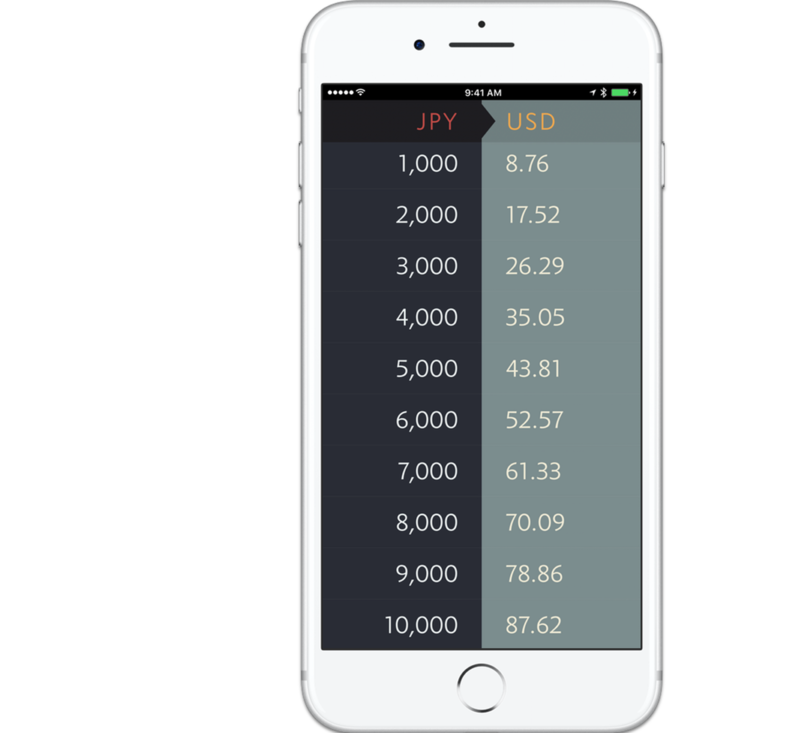 On the iPhone, Elk makes use of the larger display to show a handy and interactive rates table. It starts with a suitable value, and converts the next ten values to your home currency. * Requires iPhone 6s or later with 3D Touch. Enjoy the best parts of travel. Elk provides an easy, elegant way to accomplish [currency conversion] in a well-polished package. I don't often travel internationally, but the next time I do I'll be using Elk. … a super speedy way of getting at a glance rates tables… without having to fiddle around with numerical keypads. It’s all controlled with a few swipes and taps. 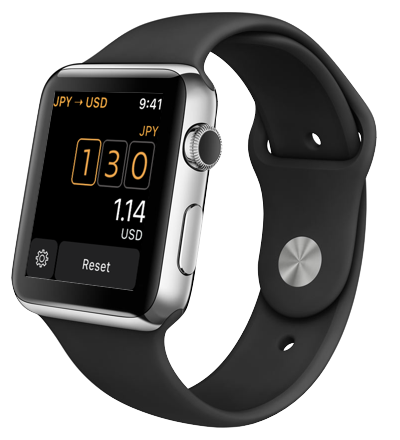 …does away with the cumbersome keypad entry and overloaded information display that characterize most currency converters. Sign up for our newsletter and be among the first to know of news and tips and tricks about Elk. We'll only send you information about Elk and products that we make. For feedback and questions, email us. Elk neither requires nor collects any personally-identifying information. The app connects to our servers to fetch the latest currency rates from time to time. Like the use of any online services, your device will automatically transmit information such as your device type, IP address, as well as the date and time of access when you connect to our servers. We neither store nor transmit these information anywhere.